In the past years, our sugar snap peas have yeilded very small crops. both were from starters and were late to get into the ground. 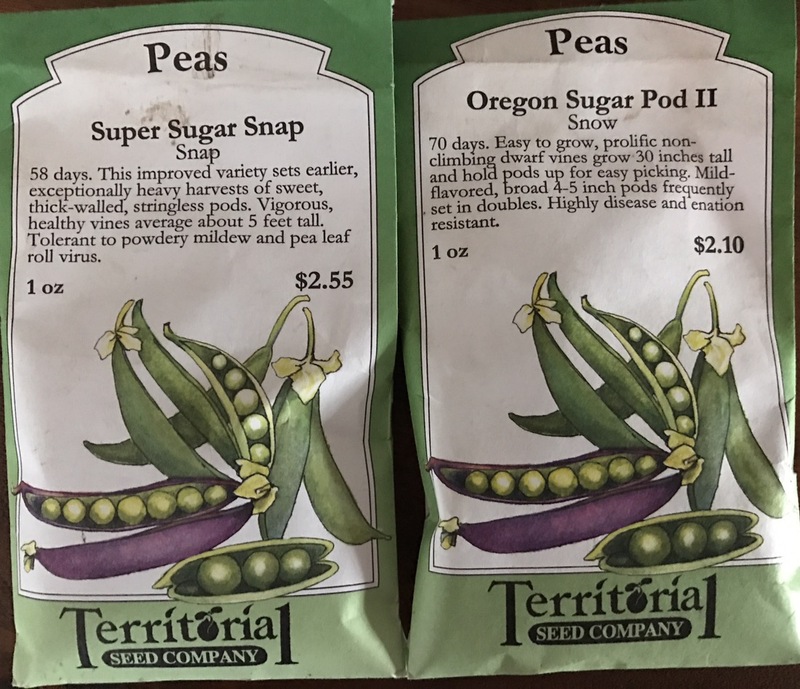 this year, following Portland Edibles plan, we planted seeds. Our experiment was to alternate the seeds between two verities that mature a couple weeks apart. Just the fact that planting from seed is starting out with significantly more plants is exciting and the instructions say to not thin them as they like growing clusters.